We could not cross Spain and do not give you the recipe of the most popular Spanish dish: the paella ! Nowadays, we can have it everywhere in Spain. The Spanish are nevertheless unanimous: it is in Valencia that you can find the best ones! 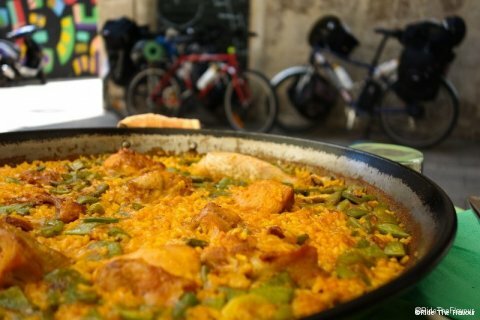 During our stay in Valencia we went to taste the traditional Valencian Paella in a small restaurant in the downtown. 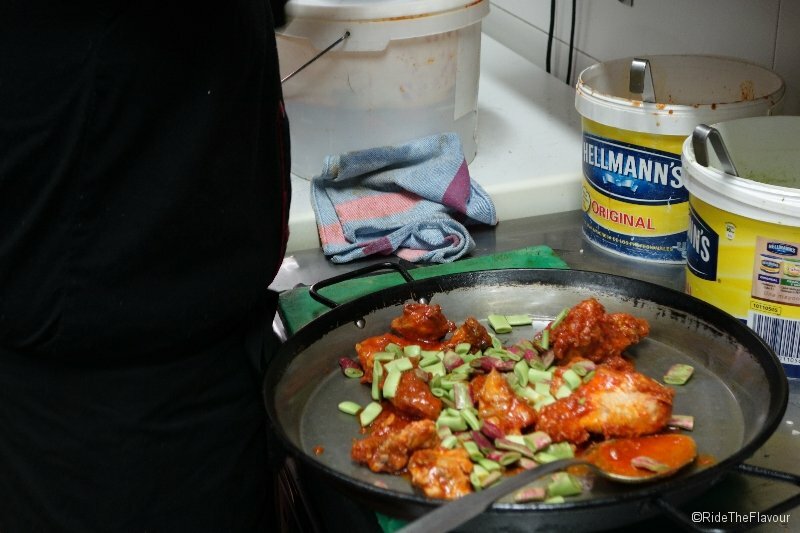 Filled with its flavours, we ask for the recipe and the chef even invited us to observe the preparation in the kitchen! 1) In a large pan put olive oil and when the oil is hot, add the chicken and the green beans. Let slowly brown over medium heat, turning occasionally. 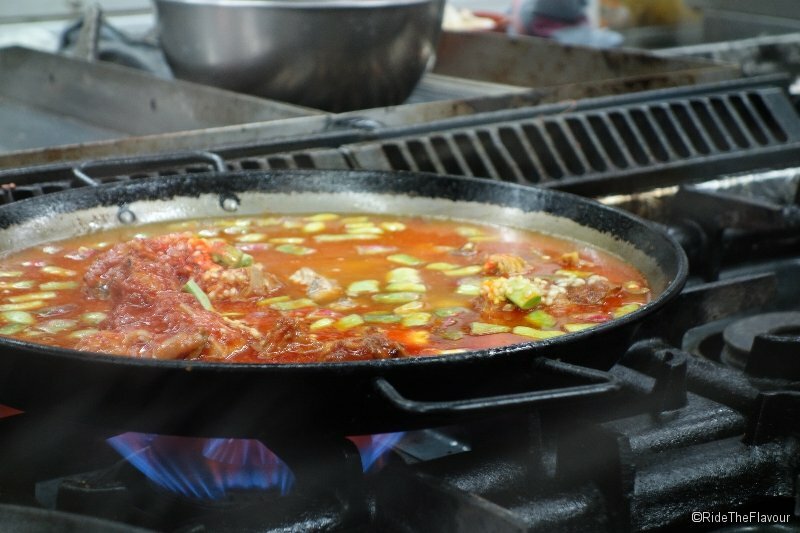 2) Add the beans (pre-soaked 12 hours in cold water) and lightly brown them, then add the chopped tomatoes and fry them. Stir it all, then add salt chilli and paprika and stir again. 3) Add the rice, cook for 5 minutes then add the chicken soup as to cover it all, bring to a boil and cook over low heat for 20 minutes. 4) Finish cooking in the oven for 5 minutes.